Delta Air Lines and Airbus have agreed to terms for a 100 firm and 100 option order for state-of-the-art Airbus 321neo (new engine option) aircraft with deliveries beginning in 2020. The new jets, which will be powered by Pratt & Whitney geared-turbofan engines, will feature cutting-edge safety, efficiency and comfort. Delta will configure the A321neo to a total of 197 seats including seating for 20 in First Class, 30 in Delta Comfort+ and 147 in the main cabin. On-demand inflight entertainment, high-speed satellite WiFi, power ports as well as streaming video content will be available at every seat through Delta Studio. The cabin will also feature expansive, 25-percent-larger bookshelf-style overhead bins and full spectrum LED cabin lighting. 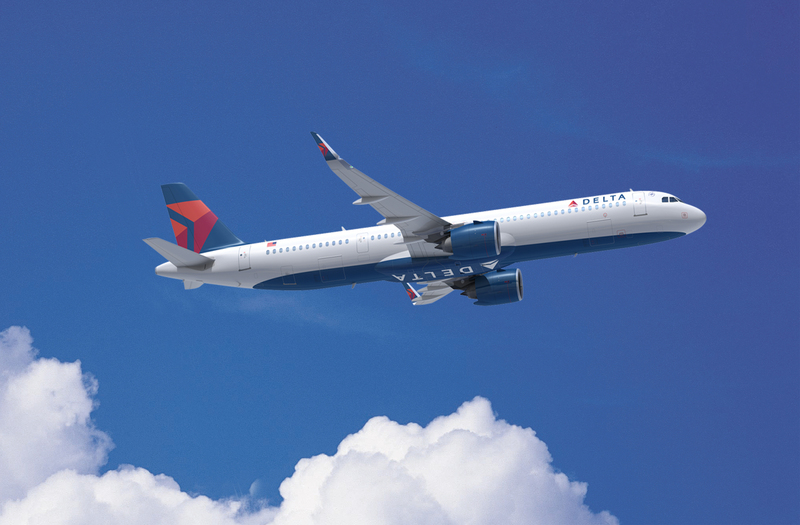 Delta expects to take delivery of its first A321neo in the first quarter of 2020 with new aircraft arriving through 2023. Delta is also announcing a long-term commitment with Pratt & Whitney for Delta TechOps to be a major maintenance, repair and overhaul provider for the Pure Power PW1100G and PW1500G engines, powering Delta’s A321neo and C Series aircraft. This latest generation family of Pratt & Whitney engines is a major factor in the 12 percent fuel efficiency improvement on a per seat basis Delta expects over classic A321 performance. This commitment by Pratt & Whitney will drive significant job creation within the Delta TechOps workforce and comes as Delta is already making significant investments to its engine overhaul capabilities at its Atlanta Technical Operations Center, including the first new engine test cell to be built in the U.S. in more than 20 years and expanded engine shop space. “The addition of geared-turbofan technical knowledge at Delta TechOps will not only be applied to the 200 engines that will power Delta’s A321neo fleet, but will also uniquely position TechOps as an MRO leader in this space as future engine types are developed,” West said. This order is the latest among several Delta initiatives supporting its multi-billion dollar investment in the customer experience. On the ground, Delta is participating in more than $12 billion in airport infrastructure projects during the next decade in Atlanta, Los Angeles, New York-LaGuardia, Salt Lake City and Seattle. In the air, an ongoing cabin modernization program continues on existing aircraft featuring new seats, seatback entertainment systems with free entertainment, free mobile messaging, high-capacity overhead bins, access to Wi-Fi on nearly all flights, free Main Cabin meals on select flights, upgraded Main Cabin snacks, an Alessi-designed collection of service ware, Westin Heavenly In-Flight Bedding in Delta One, chef-curated meals paired with wines hand selected by Master Sommelier Andrea Robinson, noise-canceling LSTN headphones and more. Delta TechOps is the largest airline maintenance, repair and overhaul provider in North America. In addition to supplying maintenance and engineering support for Delta’s fleet of more than 800 aircraft, Delta TechOps supports more than 150 other aviation and airline customers around the world. Delta’s MRO Services is the aftermarket arm of Delta TechOps. Delta TechOps performs over 200 aircraft checks per year, overhauls over 700 engines per year, and repairs/overhauls over 250,000 components per year for Delta, SkyTeam Alliance partners and MRO’s third party customers. Delta TechOps employs more than 10,000 maintenance professionals and is one of the world’s most-experienced providers with more than 90 years of aviation experience.